Catalogue of Organisms: Quick Question: What Would You Bring Back? I just came across this post at a blog called Zygoma that asks the question: if you could bring any organism back from extinction, what would you choose and why? My first choice would be a stylophoran such as Cothurnocystis in order to resolve the anatomy of those very confusing fossils. Close runners-up would be Helicoplacus (for the same reason as Cothurnocystis) or Mazothairos (for the sheer glory of Awesome) or Homo erectus (in a probably futile attempt to shake that nasty idea of human exceptionalism held by too many people). Or maybe I should just get myself some Tullimonstrum, grow them up to enormous sizes and release them into Scottish lakes. So what would you choose and why? 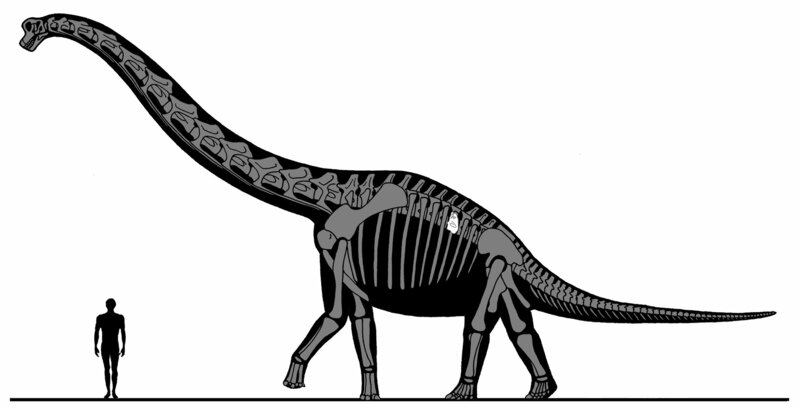 Nevertheless, I think I'd be boringly conventional and bring back a really big sauropod. Amphicoelias fragilimus, assuming that one to be real. A frondose ediacaran might be fun too, for similar reasons to the stylophorans. Smilodon fatalis or some/any other "sabertooth" - so that'll we'll finally know for sure just how those kitties hunted! My runner-ups would be the dodo, the thylacine, and Gigantopithecus blacki (the latter because you already called Homo erectus). Prehistoric: the direct common ancestor of the Trichoptera; so we can know once and for all just how they used their silk and how it relates to modern species use. Historic/modern: The passenger pigeon. Probably the most abundant and ecologically important bird in north America before it went extinct. And Mike, we know what Xenoposeidon looked like - remarkably similar to Brachiosaurus. Steller's sea cow (Hydrodamalis gigas). It should have never been hunted to extinction. I'm torn between something impressive and recent like a Ground Sloth or a Moa, and something really old - like any of the more alien looking Ediacaran species. Elephas (Palaeoloxodon) cypriotes, the Cyprus Dwarf Elephant or any of the dwarf elephants of the Mediterranean islands. The greatest loss to the pet trade, by only a few thousand years. Flores folk? It is impolite to refer to fellows by their binomial. You can never have too many tommotiids. A couple of chancelloriids would be nice too. The greatest loss to the pet trade, by only a few thousand years. Definitely. My ex's one great wish in life is an elephant of his own; when I told him that there used to be pygmy elephants, he just about cried. For sheer awesome: Quetzalcoatlus or giant sea scorpion (eurypterida). But I'd love to see a dunkleosteus in the flesh! I thought about this, and decided that it probably wouldn't work to bring anything back. Unless we could also magically restore habitat for that animal. It's a little more complex than bringing back a single organism. As a Mesozoic paleobotanist I would bring back Dinophyton. This plant is only known from the Triassic of North America. In fact, it is the most common compression plant fossil in the Chinle Formation and yet we don't know what it was! The "leaves" are long and narrow (except for some scale leaves) and the seeds were born in cupules surrounded by bracts that served as a "helicopter" wind dispersal unit. It now is also know from a few sites in eastern North America. It would be nice to know what the most common North American Triassic plant actually was. Giant orthocerids, ammonites, Meganeuropsis, Dimetrodon, Lepidodendron, trilobites, mosasaurs, Megalania and stegosaurs. "something very far, like the concestor of all extant organisms. " How do you know that is extinct? After all, any bacterial cell you see today has been alive since the first bacteria appeared. Well I seem to have found a doppelganger in Pat - I had the exact same 2 species - flores hobbits (mightn't they teach us to respect our own species? And if not... they would be just the right height for us to strap trays to their heads and get them to carry drinks around at parties) and the maltese pygmy elephant (er... Exactly the same reasons). What's the chances of that? So since my species have been taken, I vote for Aepyornis, which would be a) awesome and b) the biggest chicken drumstick ever. Thilacine. I can't get over the video of the last captive surviving Tasmanian Tiger. Gone forever! By the way, bringing back a desperately obscure invertebrate - however fantastically bizarre - just to solve a taxonomic conundrum - seems like a hideous waste of a wish. It would have no practical use and be of interest to 0.000000000001% of the global population. I think your name would be mud for all time. Yes, we do know more about Apatosaurus than about Anomalocaris, but which would you rather actually, really, really spend some time with? Just sayin'. If desperately obscure invertebrates are out, I want Promissum and Anatolepis. Christopher, I know how your ex felt. For weeks I kept thinking there must be one of those thousands of islands that they have not searched properly yet. It has just occurred to me that there is an outside chance that Odysseus met some. Amongst plants, I would love to know the identity of silphion and moly, though the latter is probably Peganum (called mooli in India) so still extant. Anyway, wouldn't a sauropod drumstick probably taste of chicken? Should be a tonne or two of meat on that. Obscure invertebrates are most definitely not out! Yes, we do know more about Apatosaurus than about Anomalocaris, but which would you rather actually, really, really spend some time with? What sort of a question is that? Anomalocaris, of course! Anomalocaris is so many light years ahead in the Galaxy of Cool that your average diplodocid can only hope to pick it up by radio telescope. "How do you know that is extinct?" I strongly suspect it is. Certainly nothing has been found with a genetic signature consistent with being an ancestor of archaeans, eubacteria, and eukaryotes. (Let alone the last common ancestor.) Life tends to evolve. "After all, any bacterial cell you see today has been alive since the first bacteria appeared." Um ... no. Where'd you get that idea? By the same logic, we've been alive that long, too. Also, no organism has been documented to have a lifespan more than a few thousand years, let alone over 3.5 billion years. Gah. Andreas and Christopher. You have one chance to bring back something *awesome* and you'd bring back wiggly little sea jellies with funny fins?!? All due respect, folks, but that's a disservice to the planet. If I send you a couple of lancelets with googly eyes stuck to their heads, can I get your wish and bring back Platybelodon with a side-order of Parasaurolophus and Elasomsaurus? We can start a zoo and a farm, and see who inspires the next generation of biologists. Considering only a tiny, absolutely negligible, fraction of living organisms and their diversity (perhaps a thousandth of a percent) does this strange multicellular developmental stage thing. Most organisms are unicellular, or mostly unicellular, their entire lives, and thus don't lend themselves well to describing where one's life ends and another's begins! Incredibly short post leads to longest ever comment thread. Gotta love the internet. But seriously, Platybelodon and Elasmosaurus? We offer you dinocarids and conodonts, and all you come back with is an orthodontically-challenged hippo and a salty lizard? "Aren't we ALL ~3.5 billion years old?" Yes. But there are many groups, such as Pterosaurs, where all the cells have died. These are the extinct organisms which it would be fun to bring back. The direct ancestors of any living multicellular organism are not extinct. Unicellular organisms do not have ancestors. The individuals that survive continue to live. They may well change over the years, but any bacterium alive now has been alive for 3.5 billion years. Richard Carter: Don't bring back Charles Darwin unless you also bring back his wife and his kids. He'd miss them too much. But the point is moot because Charles Darwin is not an eligible candidate for revival. He's not "extinct" because his lineage is not dead; he has quite a few living descendants. Now, because some people seem willing to waste their precious wishes on bringing back some bugs, I feel I'm entitled to a further wish: Elasmotherium sibiricum! Nuff' said. "Unicellular organisms do not have ancestors. The individuals that survive continue to live. They may well change over the years, but any bacterium alive now has been alive for 3.5 billion years." By that logic any woman's egg cells are billions of years old. And, really, you're not applying your criteria very well -- by your logic only ONE (arbitrarily selected) bacterium is the eldest, and the rest are all offshoots or offshoots of offshoots of offshoots. You have the most comments on this one because you invited us to a fun game. The only possible comments on your usual posts are admiration and amazement, or "Ooooh, ooooh, I know that one". How many ways can you say "Wow, cool"? Bring 'em ALL back! Every single one, starting from pre-LUCA to last year. I want to read descriptions of their actual life styles. I want to see photos of living specimens. I want several of them in an aquarium in my home as a living art display. SteveED, might I recommend the Engines of Light trilogy by Ken McLeod http://en.wikipedia.org/wiki/Ken_MacLeod ********SPOILER******* set in a universe where intelligent bacteria, giant squid and grey aliens have scattered colonies of humans on planets throughout the galaxy with every species that existed on Earth. @Pat, actually "Engines of Light" was exactly my thought as I posted. "only ONE (arbitrarily selected) bacterium is the eldest, and the rest are all offshoots"
When a cell divides (or multiplies) into two identical cells, you cannot say that one or other is an offshoot. I agree. They're both new organisms, and the original organism is gone. This has to be so, or the word "organism" is useless. In your original comment, you asserted that every bacterial cell has been alive since bacteria appeared, but taking your premise to its logical conclusion would mean that every cell, bacterial or not, has been alive since cells first appeared. True in a sense, but we're obviously talking about a certain level of organization here (or the word "extinct" becomes nearly meaningless). Passenger pigeon; of all the human-caused extinctions of a single species, it has a pretty good case for being the one with the biggest ecological repercussions. (Plus I want to see those billion bird flocks). Silphion is an awesome idea too. (It's not 100% certain to be extinct though; some say it was Ferula tingitana). If we're talking prehistoric, though... probably a really big sauropod, Bruhathkayosaurus or Argentinosaurus or Puertasaurus or something, just to see how something that big on land actually *lived*.